I'm not sure what year I saw this film, but I'm sure it was a long, long time ago already. Although that is the case, the film has left a lasting impression on me. 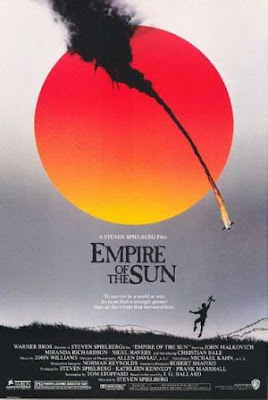 I remember vividly writing down "Empire of the Sun" as my favorite movie in high school. Everytime. I am a big fan of war movies but mostly of war books. I dunno. I get a sense of history and some higher learning from reading and watching these kind. The 12-year-old Jim Hawkins was portrayed by none other than our Dark Knight of today, Christian Bale. 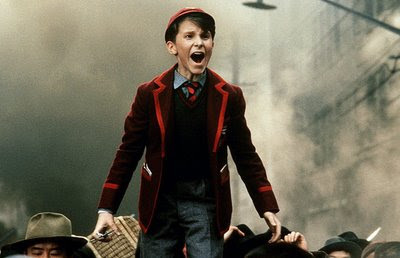 Even before we knew him as a notable actor, Empire of the Sun was his first critically acclaimed and praised performance. Why? You have to watch the film to find out. It was heart-tugging. Imagine being lost in a country that is foreign to you and away from your parents? I'm sure it was a terrible experience for a boy. I will admit that I haven't finished J.G. 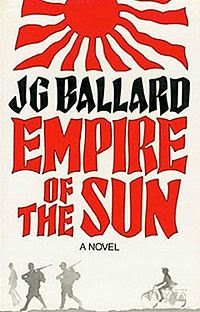 Ballard's novel. I will admit too, that when I first got ahold of the book, it bored me. Really. Anyway, Ballard was that kind of author being "dystopian" and all. But someday I will finish this book alright, as I promise to never get tire of telling everyone why I love this film.